Search Engine Watch has posted an article with seo landing page tips by Grant Simmons. According to the article, keywords are not that important: it’s all about aligning the content on a landing page to the intent of the visitor. Connect with intent: Offering a user what they expect. Resolve (initial) user query: Answering their initial query. Engage the user: Sending user signals to search engines. Drive further user engagement (if necessary): Additional signals to both users and search engines. 1. Are the primary headlines aligned with intent? 2. Are you matching content type with query intent? 3. Can users perform a quick scan above the fold to answer who, what, and why? 4. Is it obvious what they should do next? 6. Are ‘next clicks’ consistent? 7. Can they share what they’ve found? 8. Ultimately, can users find the banana? 9. 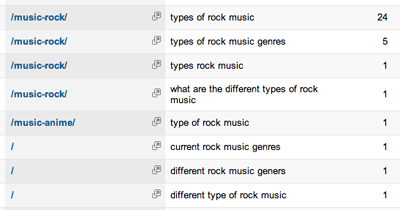 Have you segmented traffic by topics? 10. Are you tracking first click queries for optimized pages? The above tips are contained in the segments connecting, resolving, engaging, driving and measurement. Be sure to read the full article on SEW here, the tips contain clear examples and descriptions. Definitely worth a read!